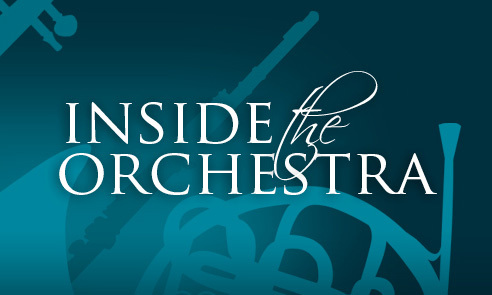 Inside the Orchestra is proudly supported by the Gold Coast City Council as part of Seniors Week. A FREE event with supper included. Plenty of free parking available. Feel the power of being a part of an orchestra when Conductor, Mark Turpin, welcomes you to a rehearsal of the Gold Coast Philharmonic Orchestra on Thursday 22 August, 7.30pm to 9.30pm at the Gold Coast Youth Orchestra Centre, Community Drive, Ashmore. Guests will be seated beside the musicians, where they will be able to see the music, watch the conductor from “the other side” and view their favourite instruments being played up close, as the musicians prepare the repertoire for the Teddy Bears Picnic concert program. Guests will then join the musicians for a luscious supper during the break (approx. 8.30pm) where you can chat and learn more about the music and instruments before returning to the rehearsal. There may even be an instrument for you to play and the conductor may let you have a go. Lots of fun and raffles to be won! The program for the Teddy Bears Picnic will include orchestral classics such as excerpts from Swan Lake, the famous William Tell Overture, the fun Tuba Toothpaste by Brisbane composer Sean O’Boyle (composer of the ABC TV Gardening Australia theme) and more. The Gold Coast Philharmonic Orchestra is a proud member of Volunteering Gold Coast and the Gold Coast Theatre Alliance and is supported by Gold Coast City Council. Book online now here or phone 5539 6076 to reserve your seat. This is a FREE event however seats inside the orchestra will be limited and need to be booked.